We specialize in four main categories of EDM Tubing: Brass Electrodes Tube, Copper Electrodes Tube, Single Hole Tubing, Multi Hole Pipe. 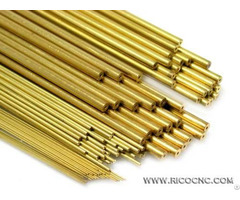 This EDM electrode tube is the multi holes electrode brass tube for EDM hole drilling machine. 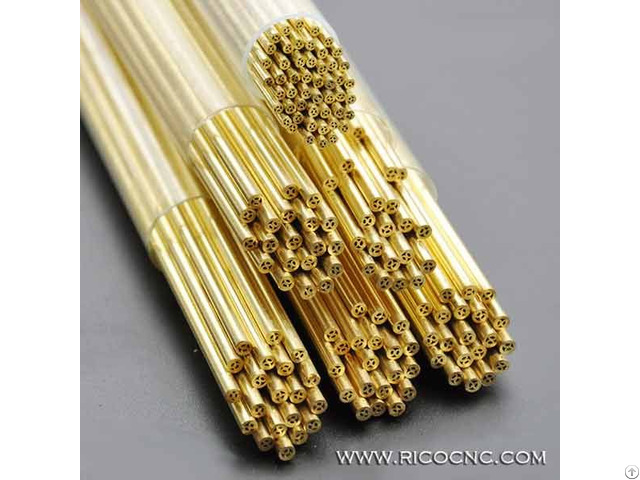 Multihole Brass Electrode Tubes Application: Multi channel brass tube is applicable to high speed electric spark small hole popping EDM machines, especially for blind holes EDM popping. Multi channel EDM tubes are used for drilling a blind hole. 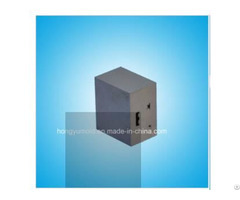 The internal channels are designed to burn away any material left at the bottom of the hole, as the electrode has material inside the flushing hole that is used to disintegrate the work piece material. 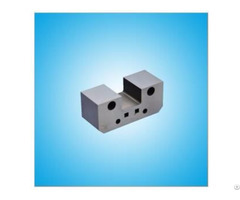 The internal channels are arranged in such a way that, as the electrode spins, no part of the workpiece is left unaffected by the electrode, and no slug or piece of material is left at the bottom of the hole. We can also supply you other edm consumables spare parts and cnc spare parts.